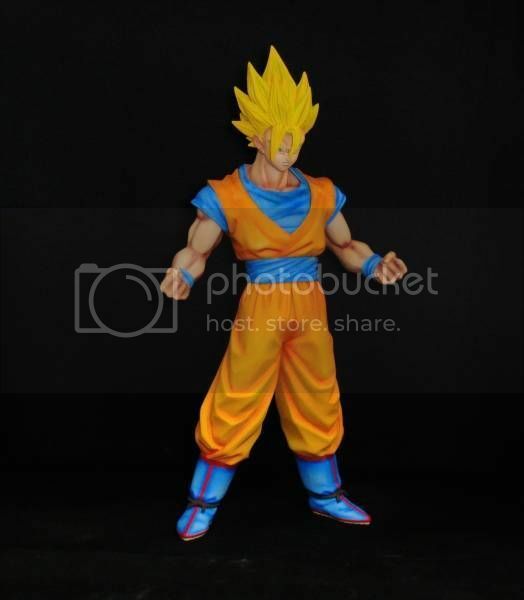 It's been stated before about the lacking poses of this line, but it's hard to find a really good SSj2 Cell Arc Gohan figure that's not a resin or prize, despite this form of him being so popular. He'll look badass next to my Medicos Goku. I am a lion and I want to be free, do you see a lion when you look inside of me? "You are so freaking cool. Know what you are? You're the wise older brother character" / "Or do you get girls with daddy issues who call you 'papa?'" 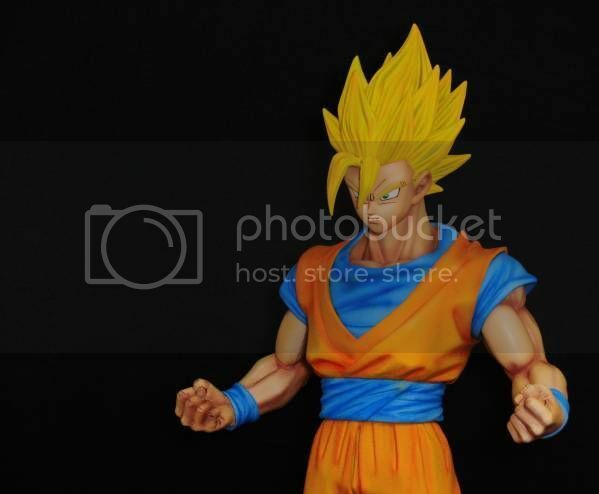 They released actual production pics of the Gohan figure. It looks like they shortened his hair a bit and his face is slightly shorter, looking more like his series look. Not to mention that this is the first figure from the line to have ripped clothing. I'm thinking that they could make that one free-floating lock of hair thinner, but who am I to judge? He's still the best official and/or non-prize Cell Games SSj2 Gohan to come out ever imo. 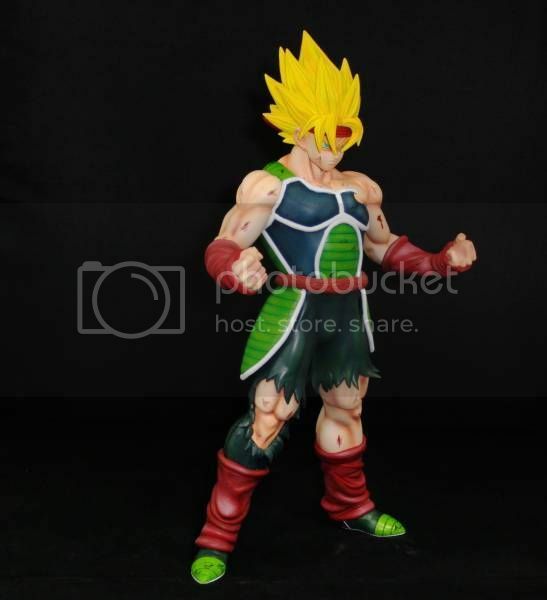 Passed on Vegeta and Vegetto (not a fan of Vegeta's pose/outfit) and I will definitely be picking this piece up though!! Love it. this gohan might be the first in the line for me. While I like the Vegeta one its the outfit for me as well that throws me off on it. I agree. 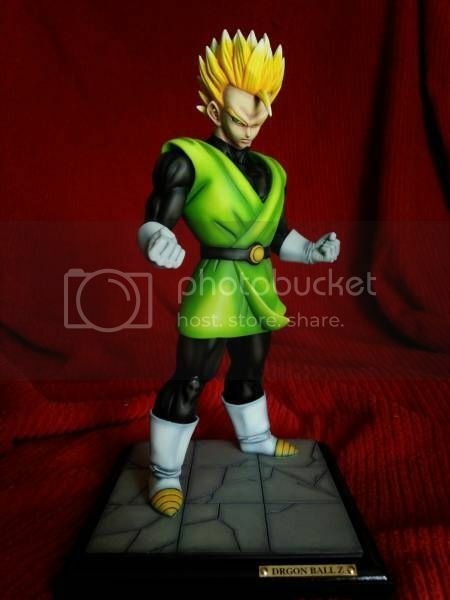 I didn't like the clothes on Vegeta (I would've preferred his Cell Arc Clothes), and the facial sculpt seemed off to me. He looks too soft and young. I've also heard that he's really off balance; but most of them are. My husband's MSP Trunks almost knocked me in the head one night at 3 in the morning because it fell over. He keeps his figures on the window sill above our bed. The anatomy in Vegetto's arms irritates me to no end because it's just wrong. There's really no other way to put it. I wouldn't be able to look at him on my shelf all day, so I passed on him too. 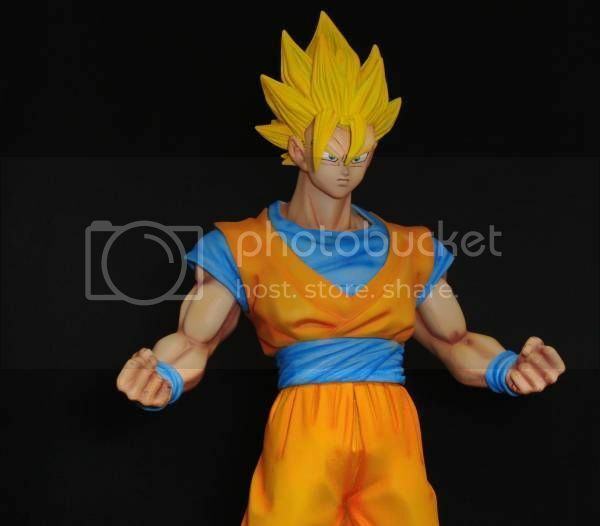 I didn't like the first Goku one when I first saw it, but now I want it. I'm hoping the re-release is the same one as before, and I might pick up the King of Coloring version. 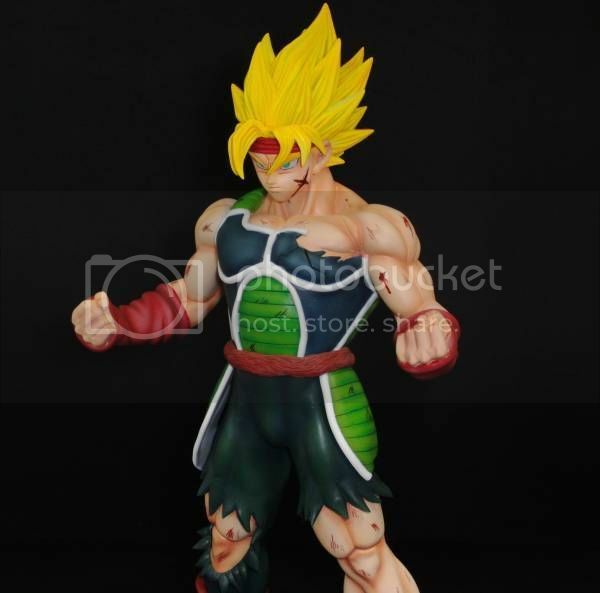 Any news on any more figures in this line after Gohan? Wow, I'm so glad they fixed his oversized hair. This figure is now a MUST BUY. Not sure if I've seen that one prodigy1367, is it the one with teal jacket? Ketchup I am dying for that king of coloring version. I think that goku is awesome. Was never a fan of the original SS one released. It's exclusive to Xenoverse. 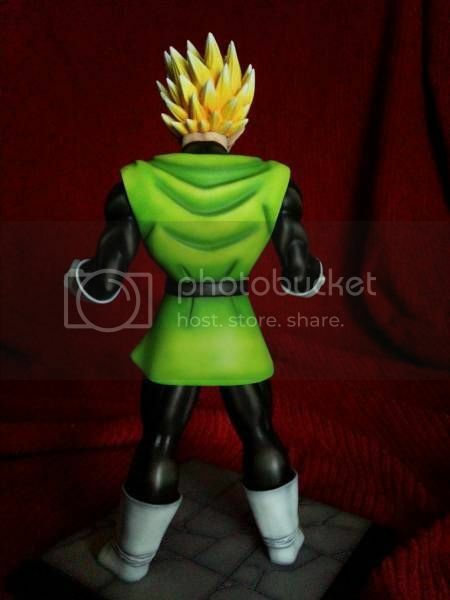 Its the MSP Trunks in his anime accurate colors instead of the Manga colors which is the teal jacket. Just received my Vegetto and I must say he looks way better in person. The issue with his arms looking weird isn't even a factor in my opinion. I highly recommend picking him up. I've seen it under my FB page. Chris Figurines: www.facebook.com/chris.figurines?fref=ts called the man from France and dyes his figures in other colors. Here, for example, Vegetto, who has come out as a SSJ. I find his work tiptop. Maybe someone knows him, Maybe he is or he was once here. Otherwise I have to ask him if he wants to join on this page! Speaking of customs check out these customs from sellers on yahoo japan. 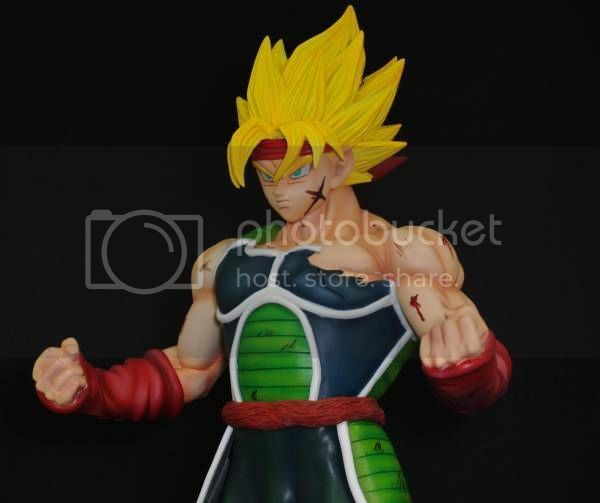 The Gohan is still available but for a whopping $250!!!! Hopefully we officially get these figures eventually. That Bardock is a beast!!! I think it sold for like $500! 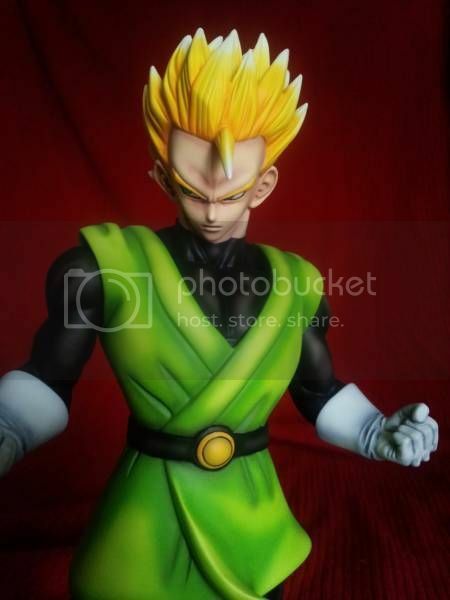 As for the Great Saiyaman Gohan one, they used MSP Vegeta's face for that figure, and I prefer that soft face on Gohan better than Vegeta.